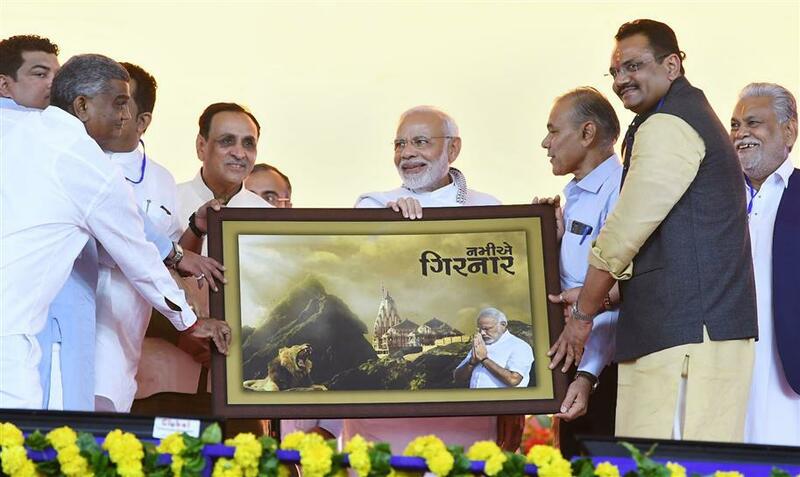 The Prime Minister, Shri Narendra Modi, today inaugurated various projects in Junagadh district. These included the Government Civil Hospital, a milk processing plant and some buildings of the Junagadh Agriculture University. Addressing a public meeting on the occasion, he said that there are nine initiatives, worth over Rs 500 crore, which are either being dedicated today, or their foundation stones are being laid. He said that there is a new energy and vibrancy in India’s development journey. He said that in Gujarat, there is a constant effort to ensure that adequate water reaches every part of the state. We are also working towards water conservation, he added. 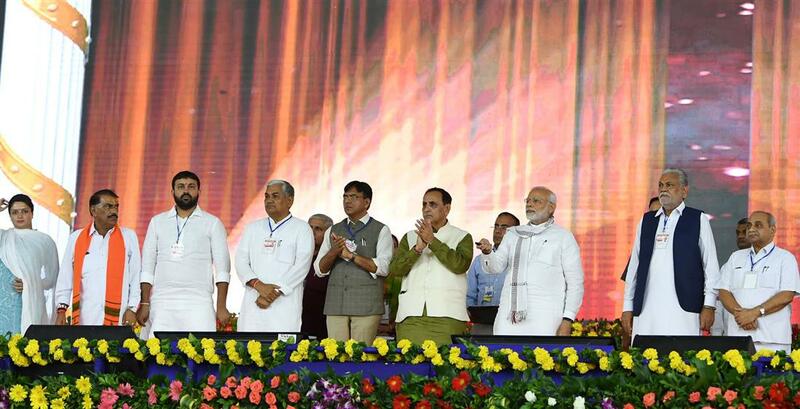 The Prime Minister said that medical colleges and hospitals are coming up across Gujarat. He said that these are not only helping patients, but also those who want to study medicine. He mentioned the Jan Aushadhi Yojana, under which Jan Aushadhi stores are being opened, which is reducing the prices of medicines. It is important that the poor and the middle class gets access to affordable medicines, he added. The Prime Minister said that the Government’s emphasis on cleanliness is being universally appreciated. The emphasis on cleanliness is important because a Clean India ensures people do not suffer from diseases, he added. The Prime Minister said that the health sector requires good doctors, and paramedical staff. We also want medical instruments to be made in India, he added, saying that the sector must also keep pace with the technological advancements globally. 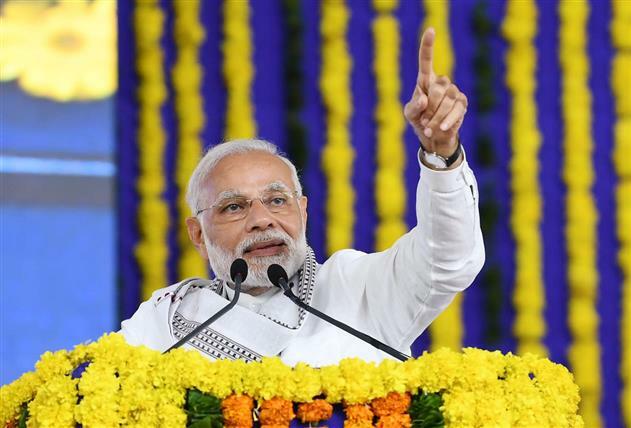 The Prime Minister asserted that the coming of Pradhan Mantri Jan Arogya Yojana- Ayushman Bharat will transform the health sector and ensure that the poor get top class healthcare at affordable prices. There are 9 initiatives, worth over Rs 500 crore, which are either being dedicated to the nation or their foundation stones are being laid. In Gujarat, there is a constant effort to ensure adequate water reaches every part of the state. The Government of India has started Jan Aushadhi stores, which is reducing the prices of medicines.